Note: An advanced reader copy (ARC) was provided by the author via Buoni Amici Press. Felice Stevens's latest standalone novel has easily become one of my all-time favorite releases from her, delivering a beautifully written slow-burn romance and a story about family, fate, and falling in love. 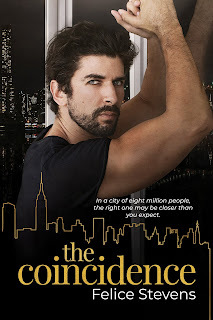 The Coincidence introduces readers to two thirty-year-olds: Barney's personal shopper Jacob "Coby" Epstein who is two months past his last relationship which ended with a disinterested boyfriend who cheated on him and Eli Kaplan who is a former member of the National Guard who is now a court officer with the Brooklyn Supreme Court and is coming to terms with his sexuality. Online dating hasn't been all that great for Coby, with one terrible first date after another, and then his best friend, Addie, decides to help him out in a way that leads to a coffee date with Eli, a guy who has never tried online dating before and has never, ever been with another man. 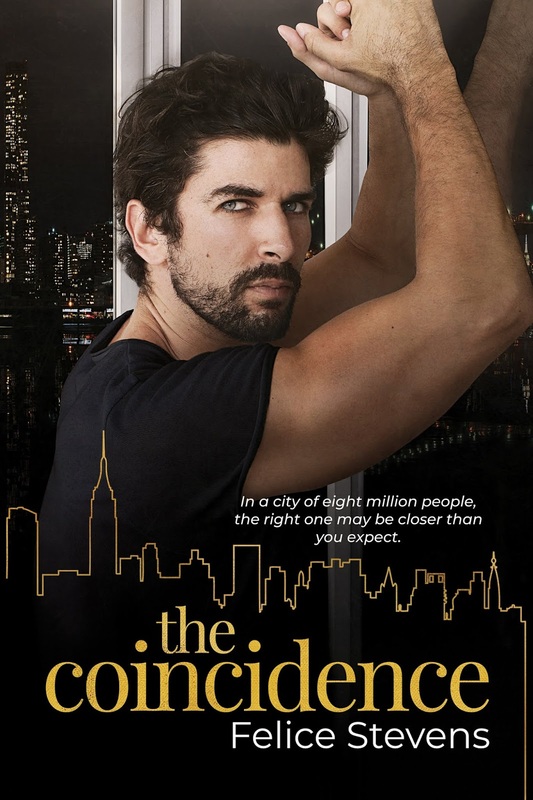 When the two men discover that they actually live in the same apartment building, it may be more coincidence than kismet, but when the ties between their families come to light, it may be the sort of fate that could right the wrongs of their family histories. Purchase The Coincidence on Amazon.